Q143) A 50 year old obese woman with history of uncontrolled Hypertension and congestive heart failure is admitted with complaints of palpitations for the past one week. Her symptoms have worsened over the past 24 hours. An electrocardiogram shows atrial fibrillation with rapid ventricular response. After adequately controlling her heart rate with pharmacotherapy, warfarin therapy is initiated at 10mg per day and the patient is discharged. 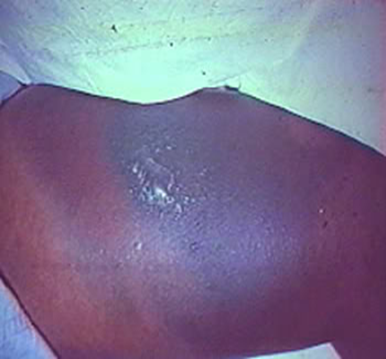 Three days after her discharge, patient presents to the ER with erythematous and painful lesion on her right thigh. warfarin should be started at 1 to 2 mg /day not 10 mg at once.